Hiring managers don’t want to know about that summer you worked as a lifeguard—unless you’re applying to manage the park district’s pool. Recruiters and hiring managers are looking for relevance and stability. The key is to list the work you’ve done in the past 10 to 15 years that tells an employer you’re a skilled, reliable fit for the job. Say you’ve had three employers in the past seven years but only two of them are in the industry you’re applying for. Employers don’t want to see a gap in your employment record, so you still need to list that third job — just make sure you list the accomplishments in that job that are relevant to the job you’re applying for. * Listing professional experience more than 15 years old. * Providing an exact number of years of professional experience in your opening summary. And don’t forget that age bias cuts both ways: A resume that tells a future boss you’re too young for the job is no good, either. Your resume has to go beyond saying which jobs you’ve done: It must establish what you’ve accomplished on those jobs. Many applicants miss this key distinction. The only things that separate equally qualified candidates are the results of their efforts. For example, an administrative assistant may write, “reorganized filing system.” That provides the task. What were the results? A better way to write it would be, “Increased team productivity 20% by reorganizing filing system.” Results are what matter to hiring managers. Everybody has dark stories in their past. There’s no place for them on your resume. Your resume is a promotional document and all promotional documents need to be positive. The time to explain yourself is when you’re talking to the hiring manager in person after you’ve scored an interview. Employers usually don’t care about your marital status, race, sexual orientation or hobbies, unless they are somehow pivotal to the job. Including personal data is a rookie mistake, and nobody wants to hire a rookie. Crafting and sending a resume is part of the “discovery phase” of the hiring process so employers at this phase don’t need personal details beyond your name, city, state and a way to contact you. If you make it to the hiring phase, the human resources department will collect your relevant personal details then. Most resumes are now transmitted electronically, and there’s no way to be sure where one might end up after you send it in. With identity thieves always on the prowl, you always need to protect your personal data. Never include your Social Security number. This is probably more applicable to international candidates, who generally have more experience with resume and CV formats that include a photo. However, standard policy for US resumes is not to include one. Partly this is due to the age and personal details issues above (i.e., potential for bias). But also, if your resume has your photo, a recruiter isn’t going to spend any longer looking at it. Instead, they’ll just waste part of the valuable 6-10 seconds generally spent scanning a resume looking at the picture instead of reading what they need to find out about you. 5 Things You Should Never Put on Your Resume | by Tom Mangan via Monster. So you sent your resume to your favorite tech companies and never heard back from any of them? Guess what, you’re not alone. Top technology companies like Google receive over 2 million job applications a year and only hire about 5000 people. So the average applicant’s odds are only 1 out of 400, says Laszlo Bock, Head of People Operations at Google. Presumably this includes all roles at Google; it is quite possible the odds are even worse for their engineering positions. If you are applying directly via a company’s website or through a job board, please stop! As per the Impact Group Study in 2010, job applications using networking or referrals are far more successful than applying online. 26.7% of external hires made by organizations came from referrals, making it the number one external source of hiring. 46% of men and 39% of women find their jobs through networking. The higher your salary, the more effective networking becomes. One of the biggest mistakes you can make is to use the same resume for each job application. While most of the content will remain the same, it is easy to customize the headline and summary sections at the top where you can convey your fit for that particular position. You can highlight the relevant skills in your professional summary to enable an employer to quickly get a grasp of the most impressive and pertinent items in your profile. Given how easy and cheap it is to maintain a personal website, social media profile, or blog, it is inexcusable for a software engineer not to have one these days. A blog showcases your knowledge, the kind of work you’ve been doing, and how long you’ve been involved in it. It demonstrates your writing skills and how clearly you can communicate your thoughts. And with linking and discussions, you can show your level of connection with current trends and technologies. It also gives you a significant advantage when a prospective employer can look at your site or blog and assess your fit for their work, beyond the brief summary included in your resume (which will always need to be limited in length and scope). If you don’t have a website or a blog yet, consider including your Stack Overflow, GitHub, or any other public profile link that could demonstrate your skills. At the very least, you should include your LinkedIn profile and make sure it’s more than just a stub. Top tech companies and startups are looking for killer projects in your profile. Anyone can build mundane school projects but what personal projects did you create? Did you build an expense sharing app to use among your friends? Or a budget app for your Mom? These projects show your passion for programming because you built them just for fun or utility. Good companies look for such passionate candidates. These projects can make or break your shortlisting chances especially when your current job profile is not very relevant. If you are an enterprise application developer at a bank, for example, and are applying to Google or Facebook or Twitter, then your work is unlikely to impress them straight away. To make the cut and stay in contention, you need to differentiate yourself, and listing independent projects is certainly one way to do that. To do this right, of course, you need to understand the job requirement first and then determine what kind of projects would be most relevant. Cut out old school projects and add these instead. If you don’t have any, don’t apply yet and first work on some projects that will be worth mentioning! Most big employers and job boards use applicant tracking systems to store and manage the huge number of resumes they receive. Keyword searching becomes a necessary evil here for screening and filtering out the best candidates. 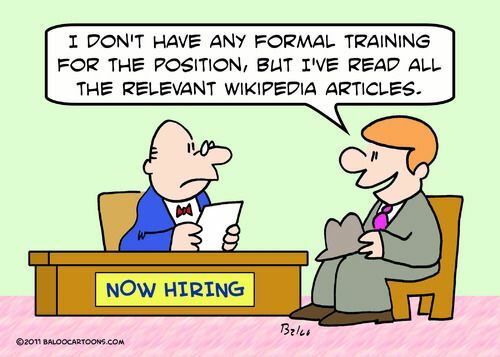 And since most jobs have at least one, non-negotiable requirement, including relevant keywords related to that requirement is essential (adding Hadoop, for example, for a Data Scientist position). Keywords aren’t just restricted to tools and technologies, of course, but could also be functional titles such as ‘product manager’, ‘SEO’, ‘social media manager’, etc. So think of what keywords are pertinent to the position you are applying for and include those in your resume to ensure that it is shortlisted during first-level ATS filtering. There are only a few companies or hiring managers impressed by a SCJP certification. In fact, there can be times when it serves as a negative signal. Ideally, your expertise in a technology should be reflected in your projects and not in the number of certifications under your name. Unless a job opening specifically asks for a certification or it is extremely relevant, you should leave it off of your resume. For example, if you are applying for network engineering roles that involve working on Cisco switches and routers, including a certification like CCNA might be helpful. At the end of the day, your resume is supposed to highlight your accomplishments and the skills relevant to the position for which you are applying. Every line should conform to these goals. Anything that does not add value to your candidacy should be mercilessly removed. If you’ve done it right, your well-designed resume will prioritize the right information and get you past the initial screening. After that, during the interview, it’s all up to you! Dear Software Engineer – This is why your resume was rejected | by Nistha Tripathi via Scholar Strategy. 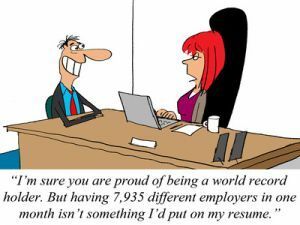 The temptation to stretch the truth on a resume can be powerful, especially considering the modern, competitive job market we currently endure, where the slightest advantage can mean the difference between a successful career and a life mired in mediocrity. Before you act on this temptation and give your credentials a fictitious boost, think twice. Beyond the serious ethical implications, consider a few other issues. First, most employers keep resumes on file once candidates are hired. And if your exaggerations are discovered—even years down the road—you may be terminated on the spot (recall the embarrassing firing of CEO Scott Thompson from Yahoo! a few years ago). Second, experienced hiring managers have usually been in the candidate-selection business for a long time, and they’ve seen many more resumes than you have. They tend to spot exaggerations right away, and if this is your first foray into the job market, some of your adjustments may be more obvious than you realize. Inexperienced candidates are more inclined to stretch the truth than workers with longer track records, and as it happens, many of these newbies are recent graduates, so their GPAs hold more weight than those of their mid-career counterparts. If you’ve graduated within the past two years, feel free to include your GPA in your resume. After two years, take this detail out. In the meantime, don’t round-up or “accidentally” misstate your GPA by a few tenths of a point. This detail is very easy for employers to verify. You worked on a project, and the project helped your company make money. You wrote a grant application, won over a new client, participated in a successful product roll-out, or coached a sales team until their numbers improved. That’s great! And when you describe this accomplishment, you’ll want to quantify it by using dollar amounts, timelines, and sales figures. As you do so, keep these numbers honest and accurate. Your reviewers probably won’t be able to verify these claims, but don’t be tempted to overstate them or you may call your entire candidacy into question. How many people worked right beside you on the project described above? Was this a single-handed effort or were you part of a 27-member team? How many direct reports did you manage in your last position? How many clients did you handle at once? Don’t add (or subtract) so much as one imaginary person. Keep your record and your conscience clean. Sometimes, we are tempted to claim greater knowledge and experience in a subject than we possess. For example, while we may only have a passing familiarity with software like Adobe Photoshop, we may put on our resume that we are skilled at using it, thereby implying frequent use and in-depth knowledge. Or we’ve read some articles or books but have no formal training in a subject. Or we took high school Spanish and that makes us fluent. Always be sure to indicate the exact level of expertise you possess, when in doubt. Did you finish this project in three months or four years? Were you promoted from the entry level within one year or five years? Did you leave your last job in 2014 or 2010? When you held that job, were you the Assistant Branch Manager or the Assistant TO the Branch Manager? Keep in mind that dates of employment and job titles can be verified with a single phone call. So the best policy is always to keep your certifications and accomplishments honest. An accurate resume will hold far more value for both your employers and yourself. The more information you share, and the more accurate it is, the easier it will be for both parties to find a potential match. 4 Common Resume Lies & Exaggerations | via LiveCareer. Job searching sure is expensive. After all, it costs money to dry clean your interview suit, fill up your tank and drive to each and every job interview. And at a time when you’re counting every nickel and dime, you don’t want to spend any more cash than necessary. But if you’ve been job searching for some time without success, it may not be what you’re saying, but how you’re coming across on paper. That’s where a resume writer comes in. Resume writers are not just professional writers, but they’re experts in making your resume stand out from the rest of the applicant pool. Here’s why you might need a resume writer, and why it’s such a good investment. Let’s say you’re an accountant. Dollars and cents are your game, not words. 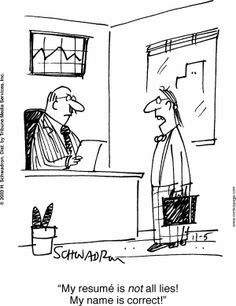 So if you’re struggling to express your previous work experience well—and your writing confuses HR professionals like advanced math perplexes most of society—a resume writer can help. He/she can discern what needs to be on your resume (and perhaps more importantly, what doesn’t), and express it all professionally. When you look at your resume, you think it looks totally awesome. But when a hiring manager sees it, all he’s seeing is the year 1986. Like music and fashion, even resumes have to be stylish so they can get more than a passing glance from a potential boss. If you’re not sure of what the current trends are, a professional service can give your resume the extra savoir-faire it deserves. From the quality of the paper it’s printed on to the template used, the writer will make sure that your resume reads—and looks—its best. You know your work experience is impressive and your workplace skills are stellar. So why aren’t you getting any interviews? The main reason could be your subpar resume. A professionally written resume can open doors for you that might lead to a great job. It’s also good to keep in mind you might even need several versions of your resume, depending on the type of job interview you have. These advanced nuances are things with which a professional resume writer can assist. To you, a resume is a necessary evil. It’s basically a depiction of all your previous accomplishments and accolades, and frankly, you’re not the bragging type. You might need an expert to help you through the process if you have a hard time talking about yourself, much less writing it all down on paper. There’s no shame in getting help with this because writing about yourself is one of the toughest assignments, and you’re often your own worst critic. A professional resume writer will know how to spotlight your most worthy accomplishments because he’s looking at them with fresh, unbiased eyes. Let him turn your resume into something that’s personable and professional. Maybe you left the workplace so you could raise your family, and now there’s a huge gap in your employment history. Or perhaps you’re changing career fields and don’t quite know how to revamp your resume to show off the skills you have for this new industry. While you can’t rewrite history, a professional writer will know just how to accentuate the positives on your resume, and write away any negative aspects. Hiring a resume writer may not be an option for everyone and some people can do the job on their own. But for those who have the necessary skills but are struggling to get interviews, a professionally polished resume can be one of the best investments you make as you continue on your job search. So if you’re looking for an edge, an upgrade, and a boost to your job search contact us today! 5 Reasons to Hire a Professional Resume Writer | Sara Sutton Fell via Salary.com. When applying for a job, it’s your responsibility to prove you’re the best candidate. This can be challenging if you can’t provide examples showing that this is, indeed, the case. A great way to show your worth is by focusing on what the employer needs most from the candidate who will fill the position, then tailoring your resume to address those needs specifically. Employers absolutely need to know that the candidate they choose for a job is the best fit, which they do by confirming that a candidate’s past accomplishments and current skill set fall in line with the important day-to-day tasks and overarching goals of the position. If you submit a generic resume that doesn’t address the specific needs of each company and showcase your professional capabilities, you are failing to prove that you are right for the position. And unfortunately, another candidate will be more than willing to pick up your slack — and take your dream job while they’re at it. How Can You Ensure Your Resume Is Targeted? A great way to target your resume is to dig in and learn about the company and what the employer wants from its candidates. Once you acquire this information, you will be armed with specifics that can help you determine what contributions you can make to the company. Instead of writing a bland objective statement, place a job target/title at the top of your resume that defines who you are as a professional. Also, create a branding statement (a one- or two-line statement that sums up the value you can offer each employer based upon their needs and how you can meet them) that is customized to the specific job. Then write a career summary (most commonly a bullet point list that shares your career highlights) listing accomplishments most pertinent to the position at the top. It’s also important to utilize specific keywords in your resume. For example, if you are applying as an executive chef in the hospitality industry, you might incorporate keyword phrases like “menu planning”, “kitchen equipment”, “banquet meal production”, and “procurement of food supplies” as indicators of your knowledge of the field. Keywords should be used in your job target/title, branding statement, career summary, and most other sections in your resume. 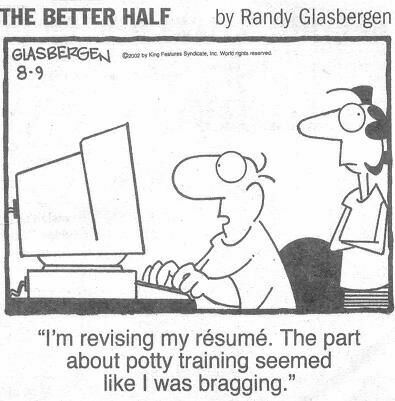 Though targeting your resume requires a bit more effort (a resume writing professional can help! ), it offers a lot more in return. By taking the time to customize a resume for each application, you give those companies no doubt that you are the best candidate for the job. Why Writing Targeted Resumes is More Critical Than You Think | Jessica Holbrook Hernandez via HCareers. For some, it’s ego. For some, it’s power. For some, it’s ambition. For some, it’s self-esteem. And for many job seekers, it could be what keeps you from or lands you your next role. The issue of your current and previous job titles is something to consider carefully, since HR and hiring managers often fixate on titles, which can be (but often are not) simple summaries of what a professional does and at what level. 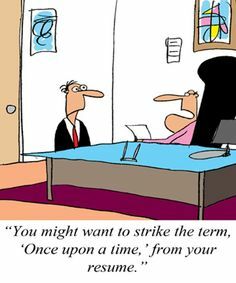 Often, though, depending on the company and the industry, titles can just as easily be misleading or confusing, making it difficult to effectively judge a candidate’s experience and capabilities (especially as regards seniority). And this can hold you back professionally in myriad ways. So, how can you move on and up if your current title suggests that you don’t have the qualifications for that next step, even if, say, you have years of experience and could very well have a “higher” level title if not for extenuating circumstances such as your company’s budget or team structure? Is your only option to wait with baited breath for a promotion before you can start exploring other opportunities? She explained that she wasn’t comfortable applying to roles as long as associate was a part of her title, and so stayed put. Now, promotion in hand—or on paper as it were—she was prepared to look forward and embrace a new opportunity, having ditched the label that she believed made her sound too junior for roles she felt qualified for. If you’re at the point in your career when you could easily have the next title up, whatever that may be in your industry or field, clarify your position on your resume. So maybe you’ve been working as a production assistant for three years, but the truth is, you are the production team at your company. You report to the director, yes, but you coordinate all of the in-house production, and you’ve moved so far beyond assisting anyone that it’s not even funny. But, for whatever lame reason, you’re stuck with the entry-level title you came in with (even though your salary has most definitely not stayed the same), and you’re worried that if you put that junior-sounding role on your resume, you’re only going to be eligible for roles that were appropriate when you were first starting out. You’ve learned so much since then and are far more qualified than your actual title suggests. In this case, you’ll need to adapt your resume to close the gap between title and experience. There’s a really great way to navigate this challenging situation without being dishonest. Instead of putting production assistant on your resume, you put “Name of Company – Production Team – 3 Years.” You can always edit for clarity and communication so long as you’re not misleading or misrepresenting your background or experience. If that type of clarification gets you an interview, you’ll have plenty of opportunity to explain how you started at the company, how the role and responsibilities evolved, and that because of the organization’s budget/protocol/whatever you never actually received a title change during your tenure there. In your resume, focus on the responsibilities and accomplishments and de-emphasize the titles. And remember that your resume is only one part of the job-search process. That said, because it’s an important one, you do want to err on the side of caution with the information you include. If a company’s human resources department calls your current or former employers for confirmation of your work history, it’s generally looking for two things: your dates of employment and your title, making it a pretty bad idea to put down a position name that wasn’t actually bestowed on you. Instead, make your resume about what you’ve done and what you’re capable of doing—avoid highlighting your actual title if you’re worried it’s going to knock you out of the running before you even have a chance to get dressed for the race. The Answer to “Can I Change My Job Title on My Resume to Make it More Accurate?” | Stacey Lastoe via the Muse. 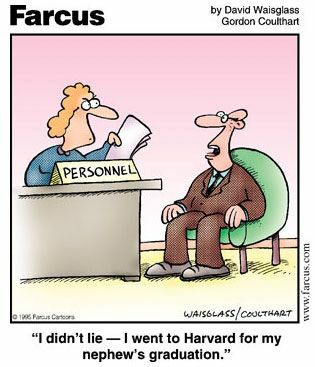 When Should You Lie on Your Resume? 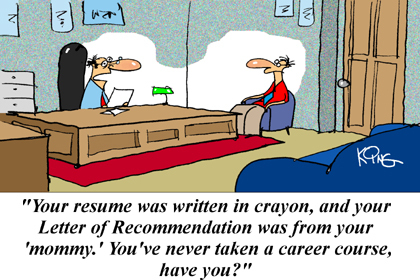 Probably everyone you’ve ever met has told you that you shouldn’t lie on your resume. But what if you can’t seem to get a job with the skills you have? You may really want to be honest, but want to be employed even more. What should you do? Whether you have a short or long work history, you don’t necessarily want to include all of it. If you’re applying for a marketing position and you’ve worked as an intern and an associate in separate firms, but also as a cashier at a grocery store, don’t pad your resume with the irrelevant job. Doing so wastes space that you can use to explain the good work you did at the actually relevant jobs. Conversely, you may want to leave off jobs (and other information) that make you look overqualified. You don’t need an MFA to work in telesales or Vice President position to get a job as a programmer. Part of putting your best foot forward on your resume involves leaving out the stuff that makes you look wrong for the position, no matter how impressive. Do you know Excel? Probably not very well if you haven’t touched it since 2004, but that doesn’t mean you shouldn’t include it on your resume. If you can spend a night learning what you need to know before you need to know it, you can claim proficiency in a skill you don’t really have. You never want to lie about your position. While your work might imply a more robust job title, if a prospective employer calls your previous employer to ask about a position that doesn’t exist, you’ll just seem like a liar. That said, you shouldn’t discount the work you did beyond the call of duty. For example: Let’s say you were an intern last semester. You worked really hard and you think, “Hmm, I worked almost as hard as my manager, I’ll just say that I had his title instead.” Sometimes a hiring manager catches this fib and sometimes they don’t. If you were a hardworking intern, illustrate that with the bullet points below your title, not by lying about your position at the company. You can still call yourself by your correct title and explain only the great, relevant work you did. You don’t have to include remedial tasks that made up most of your job if it doesn’t apply to the job you’re trying to get. Instead, you can leave out more of the irrelevant tasks and focus on the ones that make you look like an intelligent, hardworking prospect. All of that said, if you have a great relationship with the company you’ve left (or plan to leave) and want to use a more impressive title, talk to your boss or manager about using one. They may allow you to use a more impressive-sounding title on your resume and play along when called as a reference if they like you. Perhaps they’ll even award you that honorary title as a parting gift. If your boss or manager approves, it’s not really a lie. The trick doesn’t involve lying, but rather digging deep to find relevant experience you didn’t really know you had. If you really want a job as a graphic designer but work as a receptionist, you can spin a lot of your experience to make it relevant. Perhaps you’ve created fliers, mailers, in-office posters, and so on. I worked as a customer service representative awhile back and found ways to make company videos, design posters, and even write code. If you want a different job, find ways to do the kind of work you want to do at your current job so you can claim it as experience on your resume. You still have to do the work assigned to you, but if you add a few other helpful tasks here and there your company should appreciate you for it. When you can’t do something at a company, do it on your own time. Nobody can stop you from designing, writing, or whatever else after you clock out. When you have no relevant experience, you can always make some yourself. That might not get you an interview all by itself, but you can also try to meet someone from the company to give yourself a better chance. A simple email asking if you can take someone out to lunch to ask them for career advice can go a long way. In the end, you want to lie as little as possible but find ways to make what you have look as attractive as possible. That means embellishing your skill set a little, including the right jobs, and focusing on relevant experience—even if it didn’t make up the majority of your work. If you just don’t have a lot of work experience at all, seek out internships to get some. 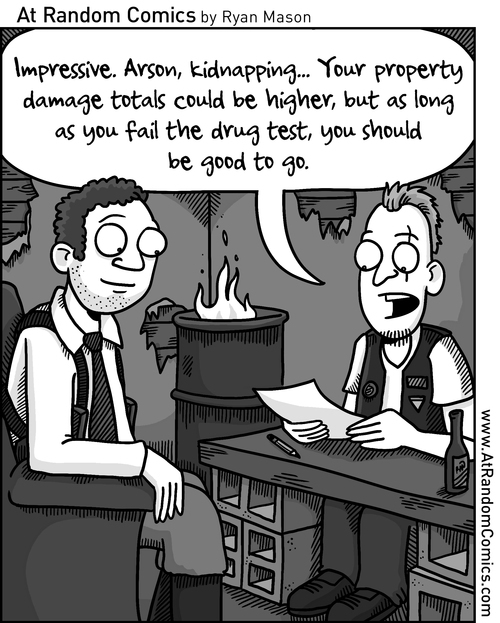 Just don’t outright lie on your resume. That might get you an interview, but it probably won’t get you a job. When Should You Lie on Your Resume? | Dave Yourgrau via Lifehacker. If you’re looking to enter the sales industry, or move up the ranks, or land a job with a great new company, your first task will be effectively “selling yourself” in your resume. After all, if you can’t submit a convincing pitch or create an effective sales document, employers probably won’t take you seriously for even an entry-level sales job. 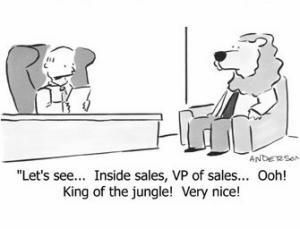 If you’re in sales, you know your numbers and how important they are. As you’re hitting your monthly quota and improving your company’s revenue, you understand the importance of impacting the bottom line. 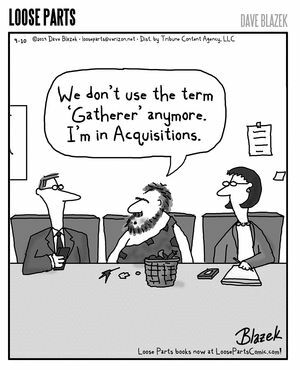 Don’t distract hiring managers with needless jargon. Instead, show them hard facts and numbers that tell a clear story about what you have achieved in your career. Salespeople operate in quantifiable results, so make sure your resume reads the same way. For example, don’t say you generated $100,000 without saying whether that figure was above or below your target goal. While you need to use your numbers, you also need to be able to show them why those numbers are important. If you’re entry-level, or simply new to sales, you may not have sales numbers to speak to, but you can still tell a story that resonates with the hiring managers. Focus on showcasing yourself as a numbers and results-driven professional by quantifying your past successes as much as possible. As an aspiring salesperson, your potential employer wants to know that you can bring the numbers, so show them that you’ve done this in your past roles and can do it again. When you apply for any job, you need to make sure you shine. Mention any awards, certifications, selling techniques you’ve mastered, and experiences that make you uniquely qualified for the job. Instead of listing various achievements at the bottom of your resume for a sales position, be sure that the most relevant successes are front and center. Sales is about survival of the fittest and being the best man or woman for the job—don’t be afraid to show-off a little bit. Clean up your resume. Just as you’ll need to get straight to the point by showing recruiters your sales statistics and results, you also want to make your resume clear and concise. Cut out irrelevant details. Typos or formatting issues highlight an inattention to detail that could cost you a job. Meanwhile, you shouldn’t leave any inconsistencies or wide gaps in employment in your experience section. Even if you weren’t working in sales, include your volunteer work or jobs that could be relevant for the position you are applying for. The pressure may be high, but be careful to showcase your best work without exaggerating your contributions. Results from a recent CareerBuilder survey of 2,500 hiring managers around the country showed that 56 percent of participants caught candidates lying on their resumes. Gray areas that qualify as lying include: inflated titles, incorrect attribution, and incorrect working dates. All of these inaccuracies could ruin your chances of landing the job so that you can begin closing sales at a new company. Don’t be afraid to think outside of the box while drafting your resume. Sales is about going with your gut and taking risks—feel free to be bold. Tailor your resume based on each individual role that you apply for. Imagine you are the hiring manager as you’re finalizing your first draft. Be honest when you look it over and think about whether you would take the time to give it a second look. Of course, you should share it with mentors, former coworkers, and friends who can offer a fresh, critical perspective. Just as you’ll try to sell your clients on new products or services, you want to discover the best way to sell your own skills and experience to your next hiring manager. One final thing to keep in mind: confidentiality. Many companies consider their sales strategies and performances confidential information. The threat of competitors finding out about company success strategies is very real, so be sure not to include any information that would compromise your current or past employers’ confidential information. You certainly can include information that is available to the general public (for example, stats found in an annual report or on the company Web site). 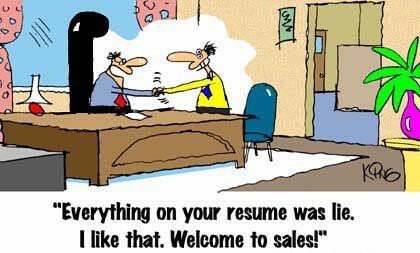 6 Résumé Tips to Help You Land a Great Sales Gig | Dave Yourgrau via Startup Institute. In the perpetually competitive job market, you need to show hiring managers that you can make an immediate contribution. As we all should know by now, including your biggest professional successes in the “Accomplishments” section of your resume is an effective way to do just that. But keep in mind that any achievement you cite should be a) truly noteworthy, b) relevant to your current career goals and c) relatively recent. 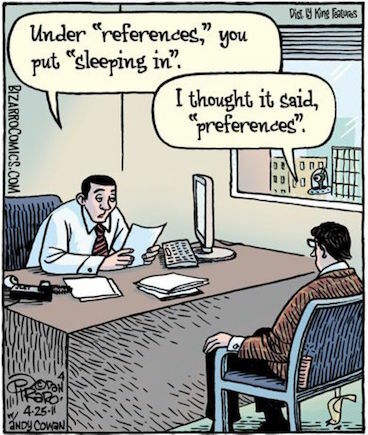 Far too often, job seekers miss the mark. For instance, you’re unlikely to impress prospective employers by highlighting the fact that you were a finalist in a local pageant held in 1982. And even something that would normally qualify as a solid accomplishment is not as impressive when it happened over thirty years ago… there is often a “what have you done for me lately” mentality at work. Whenever possible, quantify your achievements by noting how you helped previous employers increase revenue, cut expenses, or improve productivity. (Example: “Increased territory sales by 150 percent within one year of being named district sales director.”) Boldly heralding vague, unverifiable accomplishments is less compelling and often comes across as arrogant. Make sure any accomplishments you place on your resume will impress a potential employer. Your ability to do average or even below-average work, or fulfill the most basic requirements of a job, does not warrant special mention. Honors and awards received from professional associations, industry publications and educational institutions hold weight. But being overly playful and mentioning odd accolades as a vehicle to showcase your wacky sense of humor could cause employers to question your professionalism. 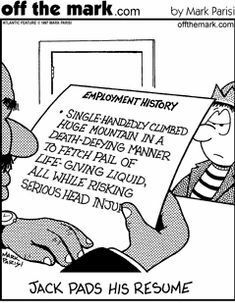 As with every other section of your resume, remember to carefully proofread the descriptions of your accomplishments. Don’t undermine your achievements by misspelling them. Hiring managers are looking for applicants who demonstrate attention to detail. Research indicates that just one resume error can sink a job seeker’s chances of landing a job interview. While it’s important to have accomplishments on your resume, that doesn’t mean you should lie, or add items that are irrelevant, just to fill the space. Consider carefully what you have achieved so far in your career, and be sure to track these efforts over time so you can keep your resume up-to-date. Remember: recent, quantifiable, and relevant accomplishments are the key to impressing hiring managers and landing job interviews no matter what field you are in. 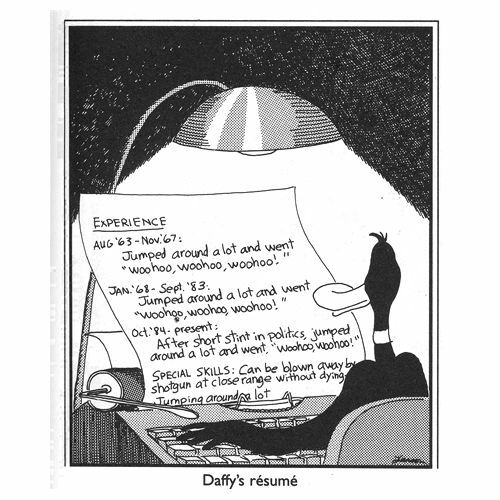 “Accomplishments” to Leave off Your Resume | Doug White via CareerUSA. Do You Need a Resume in the LinkedIn Era? Now that LinkedIn (alongside numerous other online portals) has become the standard place to present your professional history and credentials — not to mention the fastest way to check somebody else’s — the humble resume has lost its once-hallowed position as the canonical version of your professional identity. Your LinkedIn profile should be the most-viewed and most current version of your professional life. But that has many people asking: Do I even need an old-fashioned resume anymore? The answer is a highly qualified, but definite, “yes”. Applying for a job: When you’re applying for an advertised position, you almost certainly need to submit a resume as part of the application process. Job hunting: Even if you’re not applying for a specific job, you may still use a resume as part of your search process, as a way of introducing yourself to people who may be interested in your skills. Professional credentialing: Resumes act as a way of establishing your professional credentials in many circumstances, like grant applications, requests for proposals, and conference or speaker submissions. Professional memory: Your resume is your own professional memory. Keeping it up-to-date is a way of ensuring you don’t forget the professional accomplishments or qualifications you may want to highlight during your next job hunt. In the world of LinkedIn, blogs, and professional landing pages (a.k.a. “nameplate” sites), however, most of these functions can be better accomplished through your online presence. If you are job hunting, send people to your LinkedIn page instead of sending a PDF of your resume. (Unlike a resume, a solid LinkedIn profile includes not only your self-proclaimed qualifications, but testimonials from colleagues, clients, and employers.) If you need to establish your professional credentials, sending someone a link to your LinkedIn page will often be the most efficient way to convey your relevant experience. And for maintaining a professional memory, LinkedIn is unbeatable, precisely because it’s easy to update, and because you’re likely visiting the site on a regular basis. To serve any of these purposes, however, your LinkedIn presence must be well-crafted and up-to-date. Even if you aren’t sending people to your LinkedIn page, it is likely to be one of the first results for anyone who Googles you to find out about your professional qualifications and experience. That’s why you need to ensure it’s accurate, compelling, and current; unless you’re updating your LinkedIn profile monthly or at least quarterly, you’re not putting your best foot forward. Setting up a memorable short URL for your LinkedIn profile, and including that URL in your email signature line, is a good way to remind yourself that this is something people are going to look at regularly. A speaking profile: Professionals who do a lot of speaking or conference submissions would do well to create a specialized presence on a speaker directory like ExpertFile (formerly Speakerfile), a nameplate site like about.me, or even on Slideshare. A services profile: If you offer services as a independent contractor, whether that’s as a web developer, a designer, a coach or an accountant, setting up a landing page for your contract work can be an efficient place to point potential clients. An author profile: If you have a book, blog, or publication file, you will want to profile yourself for readers or future writing assignments with an author page on Amazon, a writing marketplace like MediaBistro, or a web presence for your book. When you are actually applying for a job, however, neither LinkedIn nor a professional landing page can replace the resume. A strong resume is still the gateway to an interview, and with more and more employers relying on Applicant Tracking Systems (ATS) — software that screens resumes to determine which applications warrant human review — you need a resume that you can upload to those systems. Nor can it be the same resume for every application; since an ATS typically screens for specific qualifications and keywords, you need to customize your resume for each job (or type of job) that you apply for, and optimize it for ATS screenings. 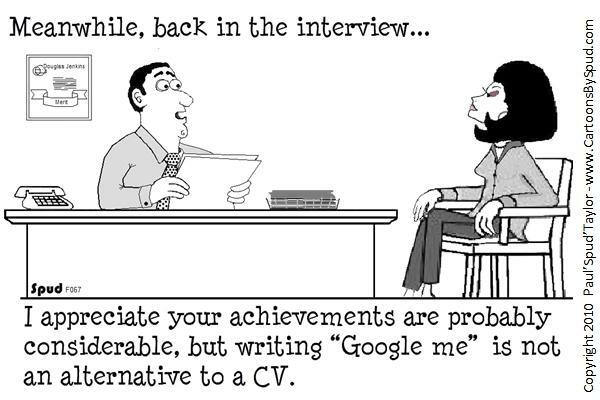 If anything, though, LinkedIn will be helpful at least as a reminder for keeping your resume as updated as possible. The standard wisdom — treat your resume as a living document that you update anytime you have a new accomplishment to record — applies to LinkedIn as well, and the two should be kept updated in parallel. Technology and social media have transformed our daily lives in innumerable ways, with networking and job searching being just two areas where we regularly experience this constant change. But there are still ways in which the old-fashioned, the tried-and-true, remain relevant, and such it is with the humble resume. Don’t count it out yet. Do You Need a Résumé in the LinkedIn Era? | Alexandra Samuel via Harvard Business Review. You are currently browsing the archives for the resume writing category.